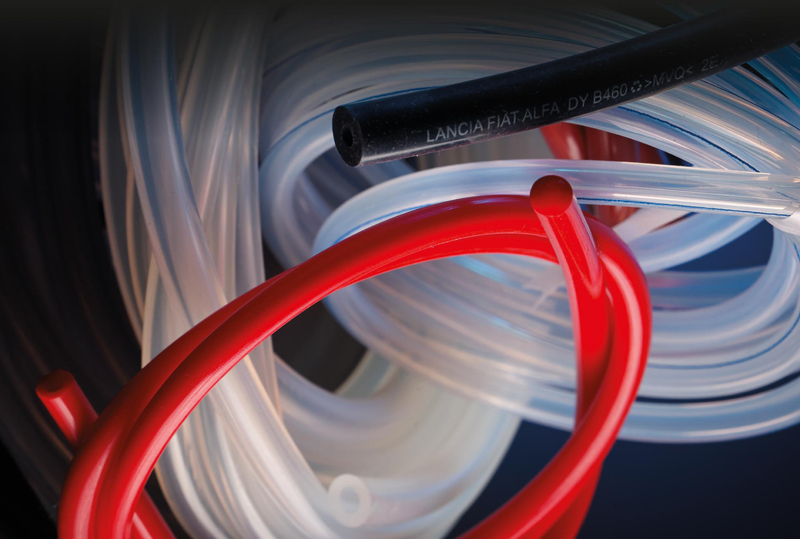 The silicone tubing of UNISIL, produced with the best technology of extrusion available on the market using siliconic compounds with very good resistance to high and low temperature. 100% of the production is made in specific fan-assisted ovens. Our software visualizes and records working cycle. Silicone tubings have a wide appliance in the industrial and food field. Our product boasts also a good resistance to the oxidation and to the radiations and it can be used for applications where the other elastomers are subject to an early aging. This silicone tube has excellent electrical features that depend only in small part from the temperatures, frequencies and humidity. We have compounds that meet the norms for the food applications accordingly to the BFR, KTW and to the FDA 1772600. Our products have been further tested for the migration test according to FDA, EC 2002/72 and DM 174/2004 certifications. They resulted conforming to come in contact with food and water products. In the separate table you can find some of the standard dimensions we can produce their weight of UNISIL TUBES. The values indicated in the table are only informative. AVAILABLE SIZES UP TO DN 100.